The Sweetwater Valley Civic Association (SVCA) is an organization where passion, commitment and community pride come together. 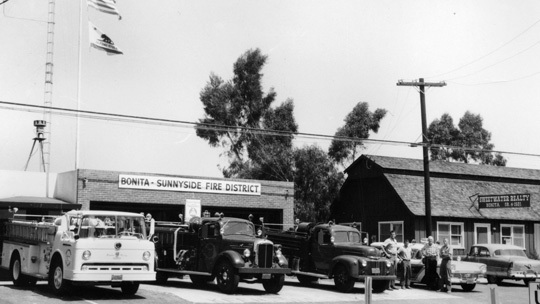 SVCA members have been working to preserve the rural character and independence of Bonita, an unincorporated community of San Diego County, since 1949. A historically rural area, the Sweetwater Valley attracted migrants looking for good pastoral land from the earliest days of Spanish settlement. It was originally part of the Rancho del Rey, or Ranch of the King, used by the Spanish soldiers of the San Diego Presidio in the late 1700s for grazing cattle. In 1845 it became part of Rancho de la Naçion, one of the last Mexican land grants. Governor Pio Pico gave this land to his brother-in-law, John Forster, who built an adobe house, as required by the grant, in what is now Rohr Park. Orchards, vegetable farms and dairies have also thrived in what is now Bonita. The valley has been home to orchards of citrus, olive, mulberry and eucalyptus trees, vegetable farms run by Chinese immigrants following the gold rush, and thriving dairies. Generations of residents have valued the beauty and peace of the Sweetwater Valley as a welcome contrast to the bustle of city life. During the 1940s postwar housing boom, the Sweetwater Valley began to feel the strain of urban pressures. In 1949, the California Division of Highways proposed putting Highway 54 through the valley along the present-day Bonita Road. 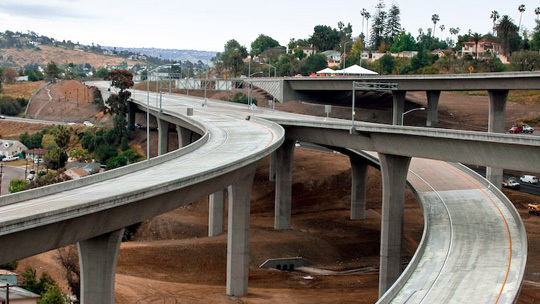 Many residents believed that the new highway would bring development pressures to Bonita. 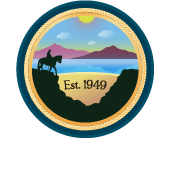 Concerned citizens banded together and formed the Sweetwater Valley Civic Association. From the beginning, the group was committed and passionate. Most importantly, they were successful. Through their efforts, the highway was rerouted to its present location to the north of Bonita. 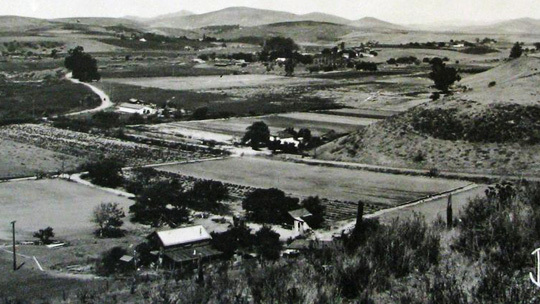 In the 1950s, most of the homes in Bonita were located on large parcels of land, and many people kept horses. Horse trails crisscrossed the valley. The SVCA worked to preserve the rural character of the valley by actively monitoring developers’ plans. During this decade, more than 500 residents became members of the SCVA, in large part, to give voice to their concerns and to advocate for favorable future development. Not everyone opposed development. Some landowners wanted to develop their properties. They turned to the cities of Chula Vista and National City for help. These cities had different zoning laws, which permitted more intensive development. In 1959, National City annexed 18.74 acres of the Sweetwater Valley. Then in 1960, Chula Vista annexed another 98.2 acres. The annexations brought these cities together on the floodplain. Subsequently, the area was rezoned for commercial and industrial use. Alarmed by these dramatic events, SVCA members began a petition campaign to incorporate Bonita in order to stop further annexations. However, due to some confusion over petition signatures, the San Diego County Board of Supervisors denied the request for an election vote on annexation. The issue of incorporation was dropped. The attention of SVCA members turned to managing development. In the 1960s, the SVCA approached the County to ask for a master plan for the Sweetwater Valley. This plan was completed in 1964. It gave the SVCA tools for preserving the rural character of the valley. 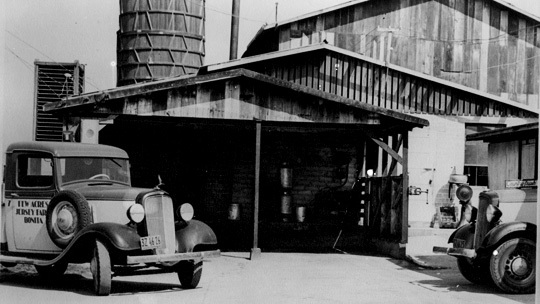 With the plan in hand, members were able to ensure the architecture of commercial projects was suitable to the rural lifestyle of the valley. Piecemeal annexations, by National City and Chula Vista, cut into the valley throughout the 1960s and 70s. The largest annexations were of golf courses. 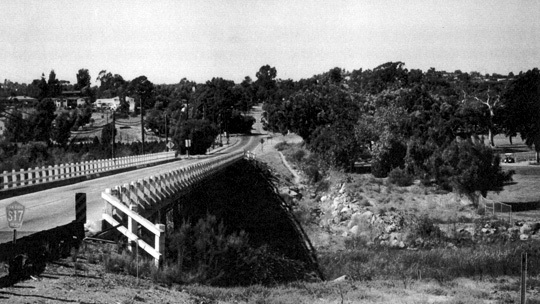 In 1966, Chula Vista purchased Rohr Park and annexed it, along with a golf course. In 1969-1970, the owner of the Bonita Golf Course applied for the right to be annexed by National City. By the end of 1972, developers had 1,215 new residential homes under construction in the valley. Within a year, the population had risen by 50 percent. Unfortunately, the association’s battles over annexation were not through. 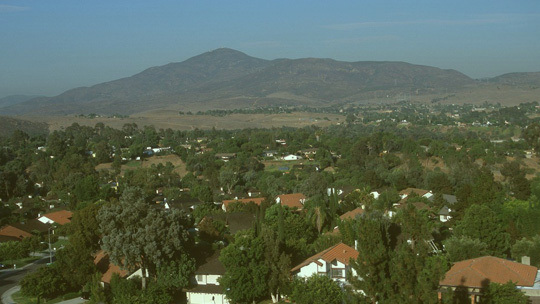 In the 1970s, Chula Vista sought to annex the entire Sweetwater Valley. Some members of the SVCA supported annexation. They believed Chula Vista’s zoning laws to be more favorable than the County’s laws. To support their efforts they formed the Sweetwater Valley Annexation Committee. Other members opposed annexation and subsequently formed the Valley Planning Association. Sweetwater Valley residents voted against total annexation by a nearly 2:1 margin. The City of Chula Vista made a final proposal to annex Bonita in 1986. Under new laws established by California’s Cortese/Knox Local Government Reorganization Act of 1985, San Diego’s Local Agency Formation Commission (LAFCO) undertook the formal review of their offer. The voters of Bonita-Sunnyside interceded in the process on their own behalf. They presented the San Diego County Board of Supervisors with 6,000 signatures, representing a staggering 65% of all registered voters, petitioning to keep Bonita a separate community within the County. LAFCO subsequently ended the annexation study, as it was clear that a significant majority of residents rejected annexation. The SVCA has come together more than once to fight highway construction through the community. Most recently, the SVCA gained important concessions in the construction of the 125 Toll Road. Though they could not prevent the construction of the road, SVCA members worked aggressively to ensure that the rural lifestyle and environment of the valley would be considered and preserved as part of its construction. Today’s SVCA continues to monitor local issues. Our members also actively support and participate in the many different events, organizations, clubs, and activities available across this region. The Bonita Museum and Cultural Center celebrates the history of the Sweetwater Valley and is the place to learn more about our vibrant community. When you take a close look around Bonita, you can appreciate that a vital group of residents had a hand at shaping this community into the wonderful place that it is today. With riding trails, parks and golf courses, a thriving main street, and well planned neighborhoods, the Sweetwater Valley is a great place to visit, and a better place to live.